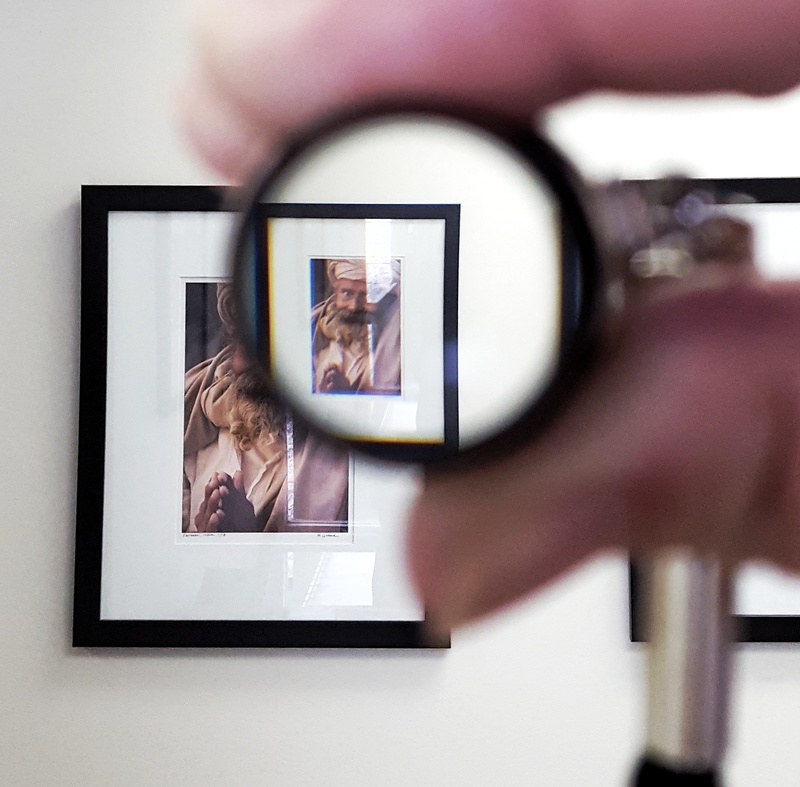 Visual field expanding aids make images smaller to enable individuals with tunnel vision from Retinitis Pigmentosa (RP) and other visual disorders to enhance their peripheral field awareness to travel more safely and to locate objects beyond their normal field of view. 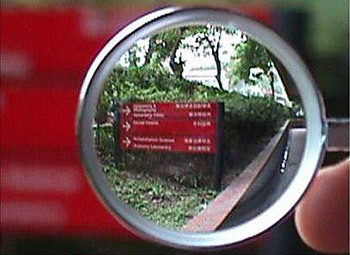 The Ocutech Image Minifier (IM) produces a very sharp 50% reduced image (0.5x) without barrel distortion. 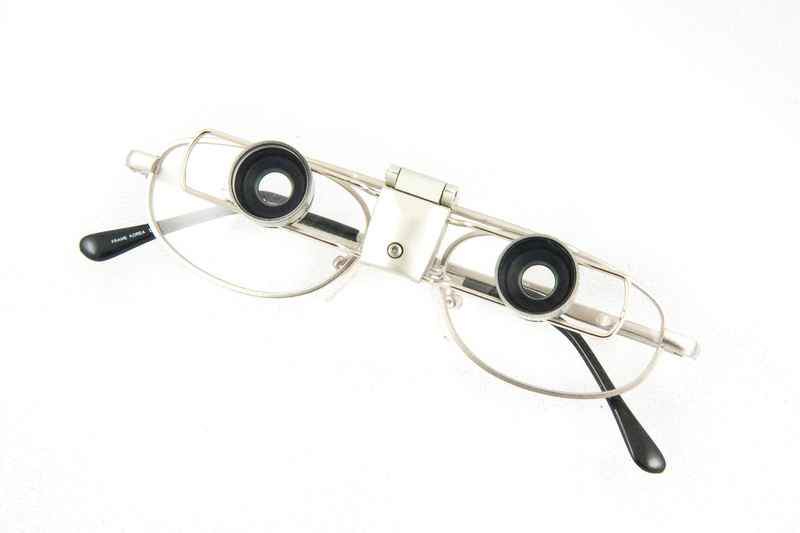 It can be ordered with a neckstrap and used handheld by holding it close to the eye, or it can be ordered attached to eyeglasses. 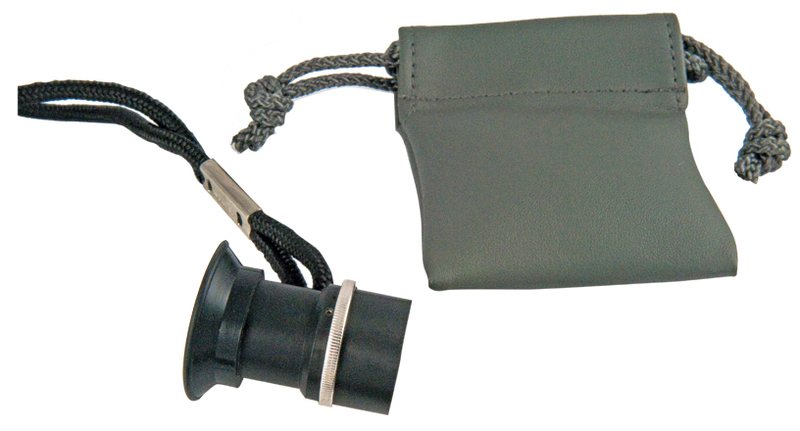 The wide rear lens allows the user to scan their visual environment while looking through the device. It is also available mounted in a trial ring for demonstration purposes. The IM chassis allows for fine focus of the device by simply loosening the set screw with the Allen wrench to the front and back of the IM in and out until the image is clearest for the user. 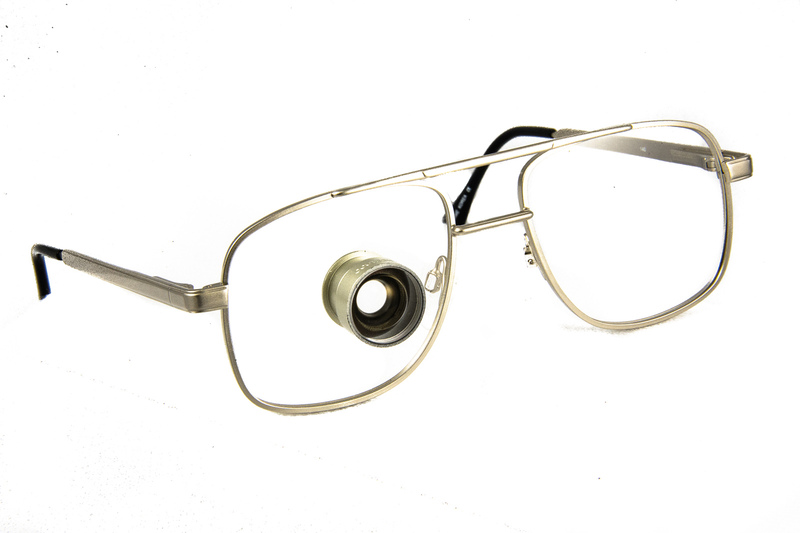 The Ocutech Field Viewer (FV) (0.25x) is a concave lens that is held at arm’s length and used as an aid in mobility and in other visual activities. It functions by reducing the image size, in effect, placing more visual information into the visual field. It reduces the image size by 75%. The Ocutech InstaMount Field Expander (FE) (0.5x) is a smaller and lighter version of the Image Minifier that reduces the image size by 50%. It is designed to be attached to eyeglasses using one of several different prescribing options. It is also available mounted on a testing clip for demonstration purposes. • or a clip-on version.